I recently joined the Front Range Modern Quilt Guild I’d been meaning to join for awhile, but couldn’t make any of the meetings until last month. 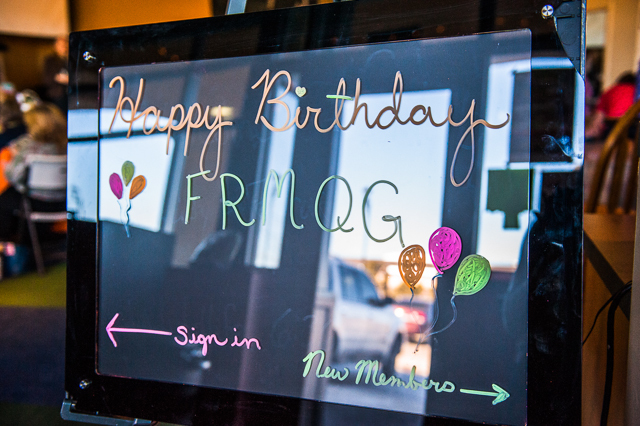 The February meeting was super fun – the guild’s second birthday party! 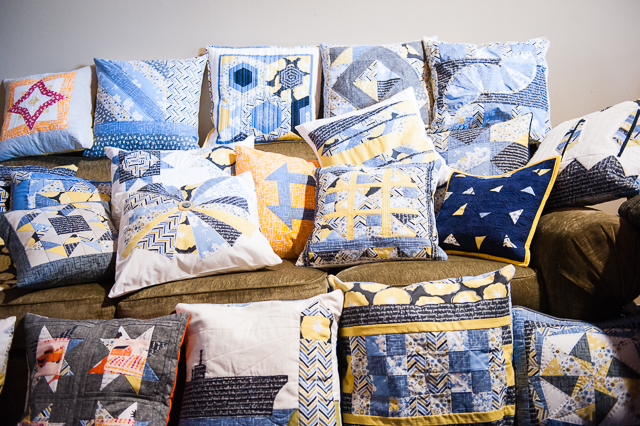 Pillows were swapped – part of the Modern Quilt Guild’s Winter Challenge – and gifts were handed out! Super excited. 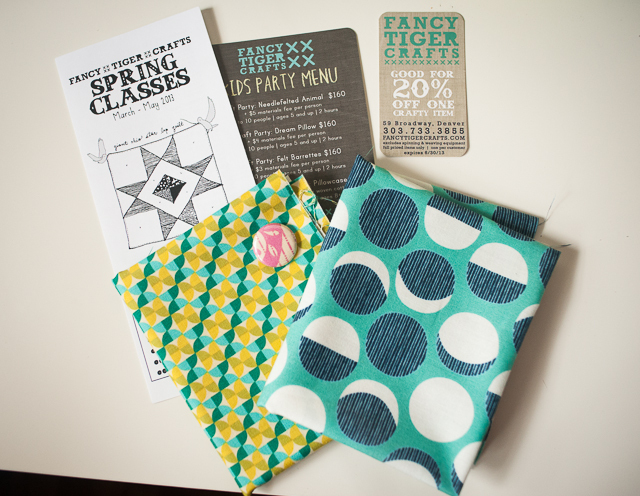 A Fancy Tiger grab bag – 2 fun fat quarters, a tape measure (not pictured), fabric pin and 20% off coupon. I heart FT!